Happy New Year and welcome to our first party of 2018! I haven't been blogging as regularly as normal mostly due to taking some time for the holidays and because I also have not had the desire to do much blogging with this nagging cough from a cold. I'm sure this too shall pass. Thank goodness I rarely get sick. It is seriously cold here in the south. As I am writing this it is fifteen degrees this morning and our heat is having a hard time keeping the house warm. I have the thermostat set at 70, but it is only 65 inside. It will be cold all week with highs only in the mid thirties so I will be dressing in layers to stay warm. For the south this is cold! Our low should be in the thirties not the high. 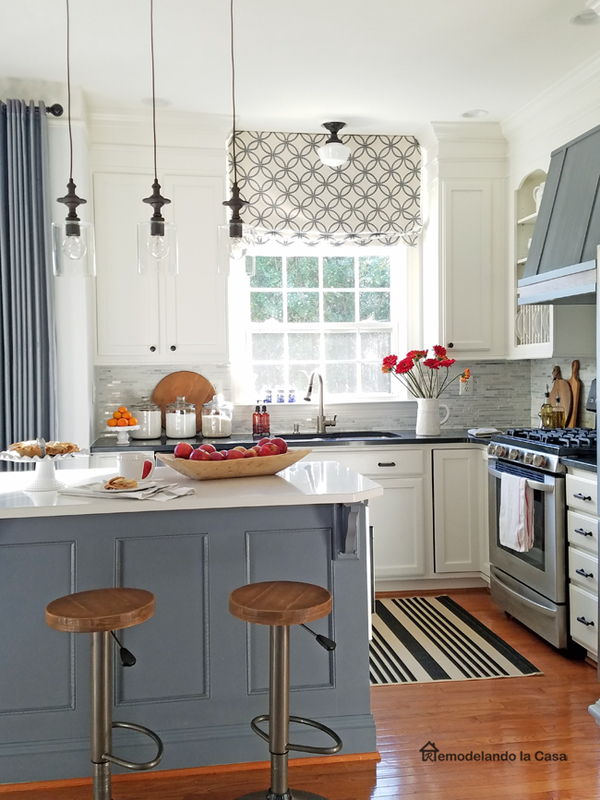 Remodelando la Casa shared her top DIY projects of 2017 and she always does some fabulous work. 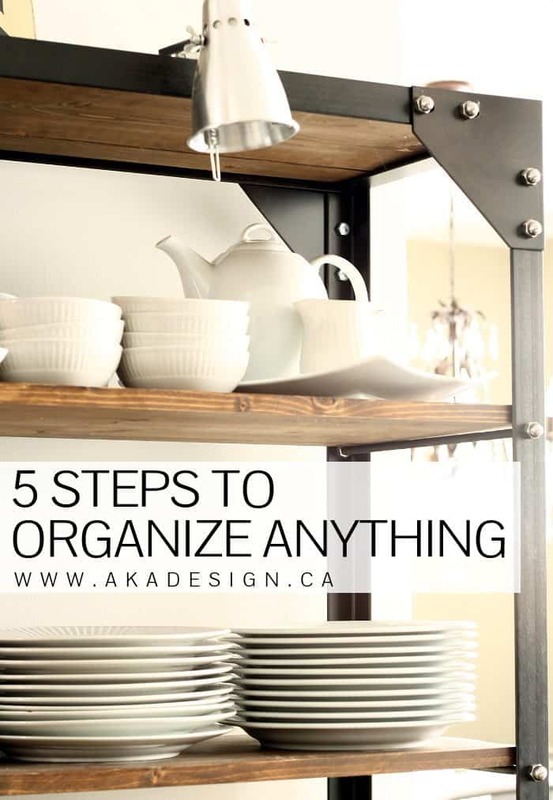 AKA Design shares her five steps to organize anything. 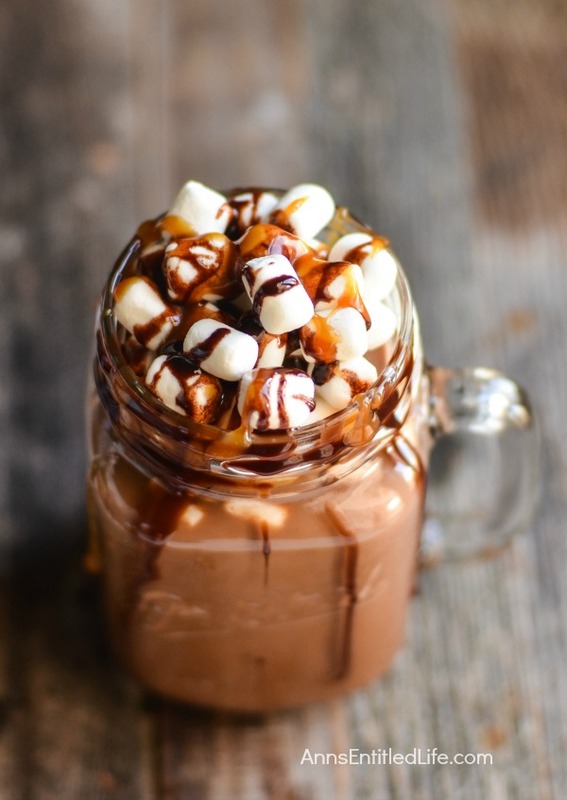 This Kahlua hot cocoa by Ann's Entitled Life should keep you warm this winter. Hope your cold goes away soon!!! Yes, it is soooo cold here too! Great features and the Kahlua recipe is great timing as I my sister makes wonderful homemade Kahlua and she gifted me with a bottle! !....Thanks for hosting and Happy New Year!!! Kim, I hope your cough gets better asap! These temperatures are crazy all over the country is seems... Thanks for hosting and enjoy your week! Thanks for hosting, Kim. I hope you have a very happy New Year! thanks so much Kim, have a Happy Happy New Year!! Thanks so much for hosting, Kim! I hope you had a wonderful Christmas! Aww Kim, you just made my week! Thanks so much for the feature and for your kind words. I was also taking a little holiday blogging break which is getting longer than expected because I'm also having a cold. 😕 And yeah, that weather is not helping. I hope you feel better soon! I hope you're feeling back to your old self soon; it's the pits when a cold just lingers. It's freezing here too in New England (in fact it's supposed to be in the 20's tomorrow and we're all talking about how warm that sounds after the single digit & negative temps we've been having). Stay warm and thanks for hosting. Feel better soon and hope it warmer. Thanks for hosting and Happy New Year and have a wonderful 2018. Happy 2018 Kim! Stay warm and I hope you feel better. Yesterday was 6 here, today a bit warmer at 11.........You need to button things up to help your house retain the heat. Close the blinds, draw the drapes, close off doorways and seal the outer doors. I have draft dodgers on the window ledges and at the bottom of the outer doors. This too shall pass!!! Thanks for hosting Kim, and Happy New Year! Happy New Year, Kim and I hope you feel better soon. Thank you for all the Wow Us Wedsnesdays link parties. Thanks for hosting. Feel better soon! Happy New Year Kim! I'm so sorry you are unwell. I hope it passes quickly and you enjoy a Happy, Healthy 2018! Thanks for the always wonderful party! Thank you for hosting the party. Hope you feel better soon. Wishing you the happiest New Year ever and thanks for hosting! Happy New Year, Kim. I hope you all can stay warm. Thank you for this first party of 2018! Happy New Year and thank you for hosting.